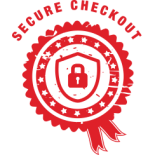 The safety and security of your information is a top priority. 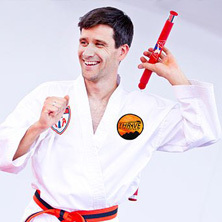 It’s likely that you’ve never tried anything quite like martial arts before, and deciding to take your first steps into learning self-defense can be intimidating. It is very difficult, after all, to know if taekwondo is for you. And that’s why Thrive Martial Arts offers a trial membership to anybody who wants to experience our classes! Taekwondo, for many people, is a risk. It’s something that they’re not positive if they will enjoy, and so we like to make things easy for people back who are sitting on the fence about this. We completely understand why it’s a hard step for some people, and it is our goal to make taekwondo as accessible as possible for anyone who is unsure about it. The best part about our trial is that you can try out one of our classes COMPLETELY FREE! 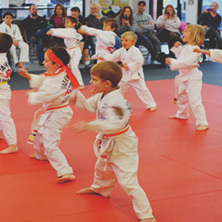 That’s right, every new student can enjoy one taekwondo class without having to pay a dime. Some people know right away if martial arts isn’t for them, and that one class can be a good way to gauge your own feelings about it. On the other hand, a lot of our students get hooked after the first time! The free class is especially useful for children, who can be fickle in deciding what they do or do not like. 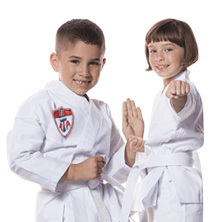 If they end up loving our Karate Kids or Tiny Tigers program, you can be confident in going through the rest of the trial membership! After your first class, you can enjoy four more sessions at our Fort Collins or Windsor martial arts dojos at a discounted rate. $55 will cover all of these classes, which will give you a more telling experience of what enrolling in our program is like. We don’t go over the same things every single class — one class may have sparring, the next could have board breaking, etc. You can get to know your instructors and classmates more closely. You can see if your own feelings change for the better or worse over multiple classes. Allows children to have a more comprehensive experience, so they can better understand whether or not they will like martial arts long-term. 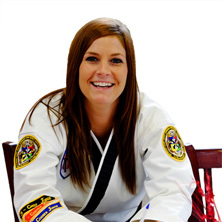 Ready to find out if taekwondo classes are a fit for you? Sign up for our trial membership today! After the trial membership (first five classes) students will be offered memberships at current rates. This offer is good for new members only, and cannot be combined with any other offer. Fill out the form below to get started! Call 970-235-0132 for more information.